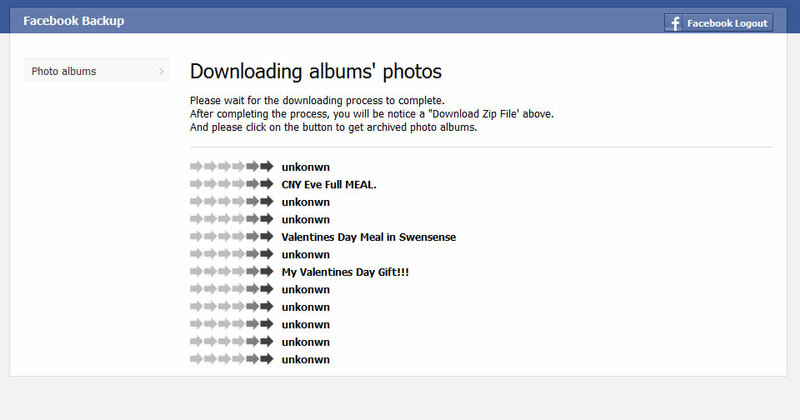 Facebook Backup is a Facebook backup tool, which you can use to backup all of your Facebook photo albums. You can host it anywhere and supply an Facebook Application ID and a Facebook Application Secret key for it to work. 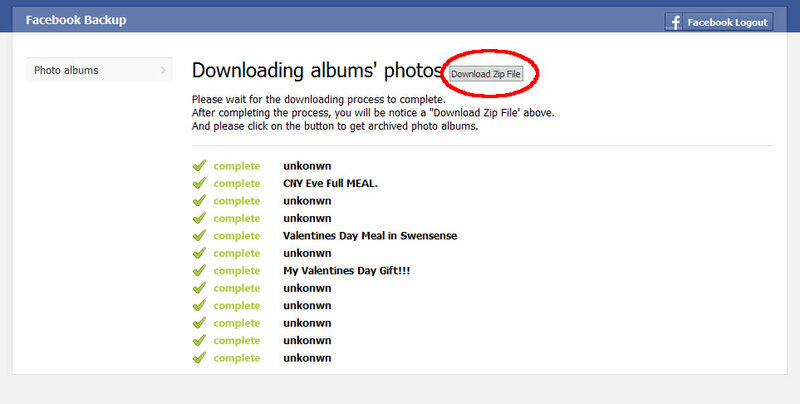 It downloads Facebook albums for you, so you do not have to worry about Facebook closing down one day. Bug fix: spelling error “unknown”. rights to set permission for folder. PHP functions file_put_contents and file_get_contents must be enabled from your server. rights to change safe_mode mode..
More backup features are coming(Backup friendlist, status and so on).